Sahara Flat Panel Chrome Designer Radiator - Only £159.99! In stock now from just £159.99 including VAT! Hurry while stocks last! 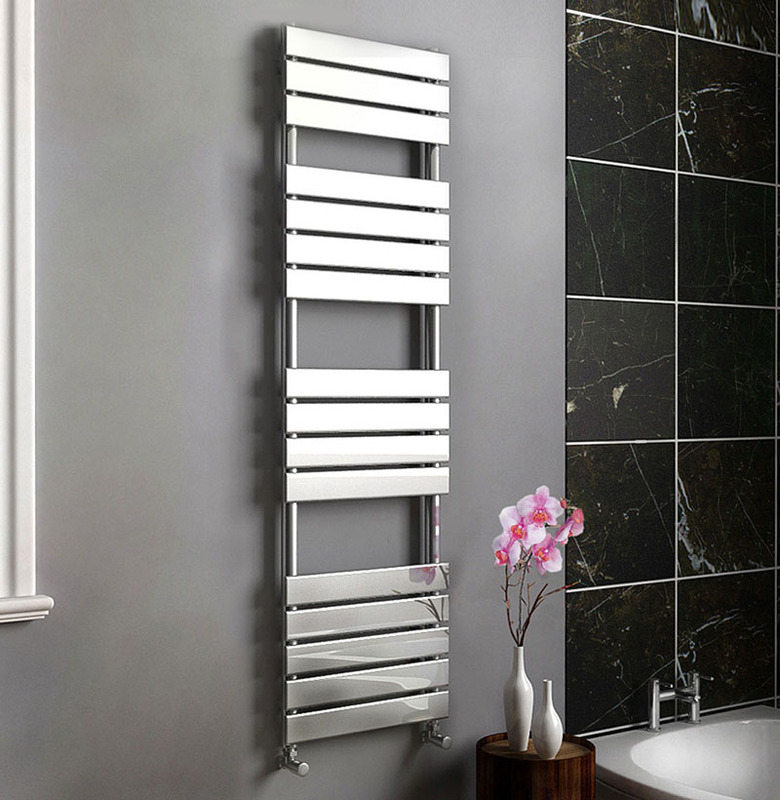 Make an imact with this stunning new designer chrome radiator from Synergy, available now for a fantastic low price at VIP Bathrooms. 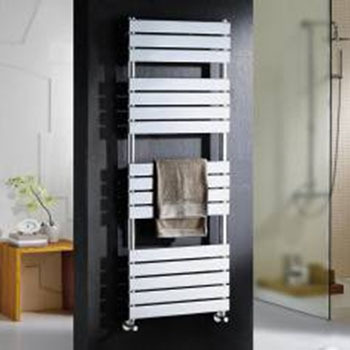 Utilising the very latest designs and styles, this beautiful deluxe heated towel rail provides gorgeous asthetics with its bold, cubic panels and its highly polished chrome venir. 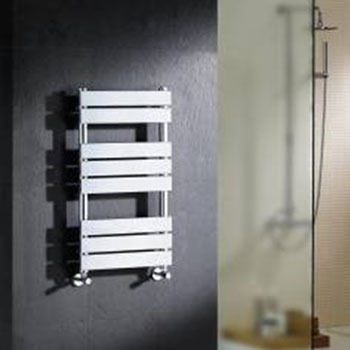 This is a gorgeous and highly practical radiator which is designed specifically to turn heads and make your bathroom stand out from the rest. 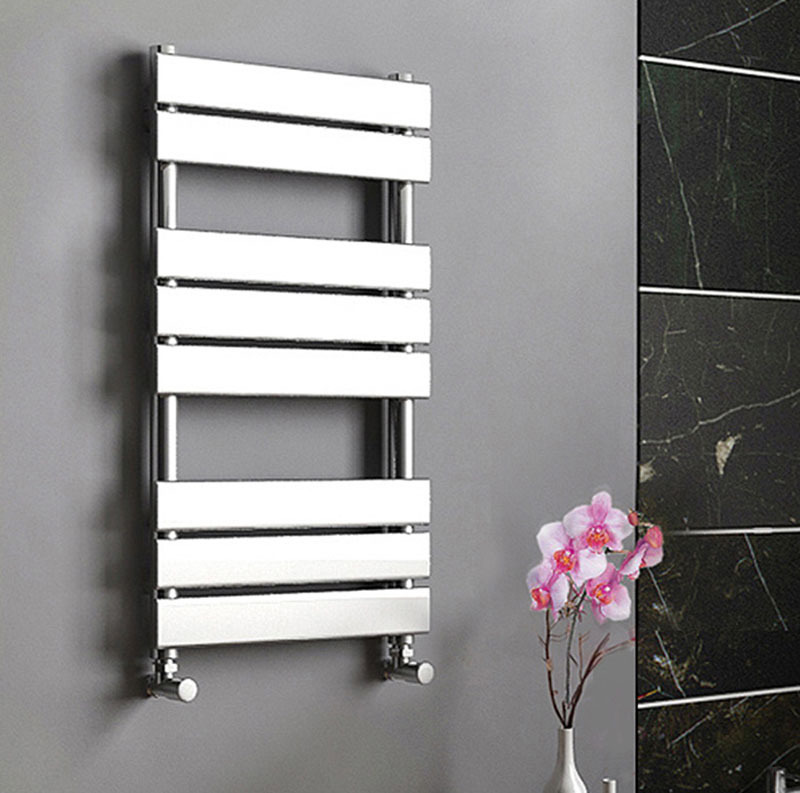 The Sahara Flat Panel Designer Radiator is designed to turn heads. 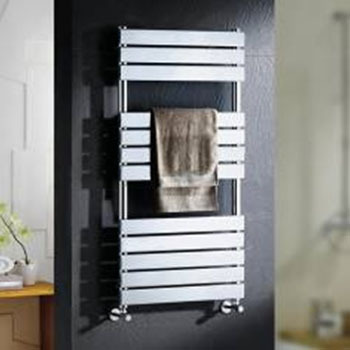 This contemporary radiator could be a stylish addition to any bathroom; the extra-thick polished chrome plating works well with almost all bathroom designs, and is triple plated to ensure that the radiator will stay rust-free.The flat-panel design is stylish and practical, it can be the added touch that you need to complete your dream bathroom, and it is also extremely practical as it saves space. 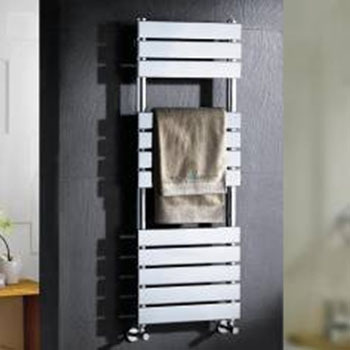 Manufactured to the very highest standards in the finest low carbon steel, this excellent deluxe heated towel rail is then triple plated with copper, then with nickel, then 60 microns of chrome to provide an unbeatable quality finish that will still look fantastic in years to come. 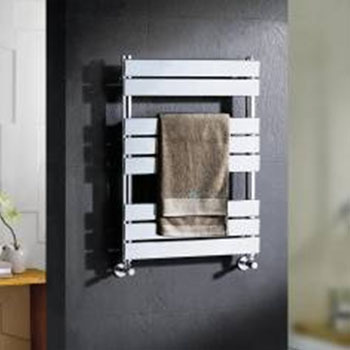 This stunning designer radiator is suitable for all types of central heating systems and works in the exact same way as a normal radiator would. This radiator can be used with central heating, dual fuel, or just electricity. It is supplied with adjustable wall brackets, blanking plug and air vent plug. A very high-quality item which has been constructed using only the finest materials, it is the quality and sublime looks of the Sahara Flat Panel Chrome radiator that really set it apart from the crowd. This, plus the highly competitive and affordable price tag, makes this one of the most highly sought after and popular mirrors available on today's market. Factor in the superb 5 Year Guarantee that comes with this item as standard, and it becomes clear this really is the ideal new addition for your home.